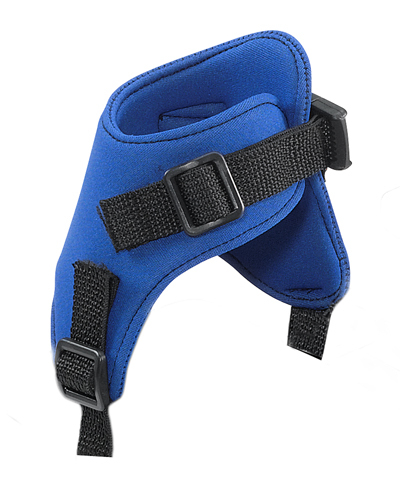 This accessory consists of a pair of Neoprene ankle positioners that have a fastex buckle closure to secure around the ankle. Three short straps with tri-glides allow for easy and convenient mounting to the foot plates through existing grooves or with the end fittings provided. This accessory is beneficial for the client who needs lower extremity positioning located at the ankle. If color other than Black Neoprene is desired, replace the last two letters of the model number (NB) with those from Color Selection section. i.e.- FAS-NB becomes FAS-NE when color Eggplant is desired.